Dust, pollen, bacteria, mold, and allergens should be concerns for every homeowner. Your indoor air quality concerns are our indoor quality concerns. 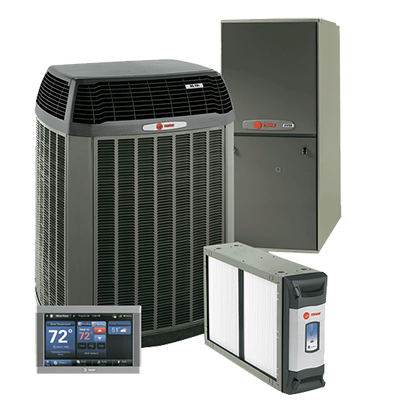 We not only want to install a great heating and cooling system in your home but we want to install a system that allows you to breathe CLEAN filtered air. Many times the air inside your home has poorer air quality than the air outside your home. That is a scary truth. Your family’s health is always important and we consider the indoor air quality a major factor in our new system installations. We offer the very best in air cleaners and air purifiers. We offer whole-house air cleaning systems that can remove 99.9% of the airborne allergens in your home. If any of your family members suffer from asthma, consider installing an air cleaner in your home. Ask about our other indoor air quality solutions that can make your home comfortable with cleaner air.